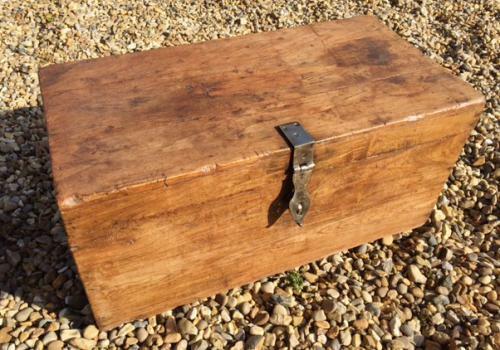 Antique Hardwood box with original side handles, and heavy brass clasp. Ideal medium size to go at the side of a sofa to double up as storage and a coffee table. Lovely wood in a rich honey colour.